Artificial Intelligence (AI) including robotics will be one of the key technologies to support the major growth of global economy. Automotive industry has been the largest consumer of industrial robots for years. Both unit shipment and sales revenue of industrial robots in automotive manufacturing are forecast to grow at two-digit CAGRs throughout 2016-2022. Industrial Robots for Automotive Industry: Global Market 2016-2022 examines the worldwide market of industrial robotics through a comprehensive summary and analysis of premium information sources. 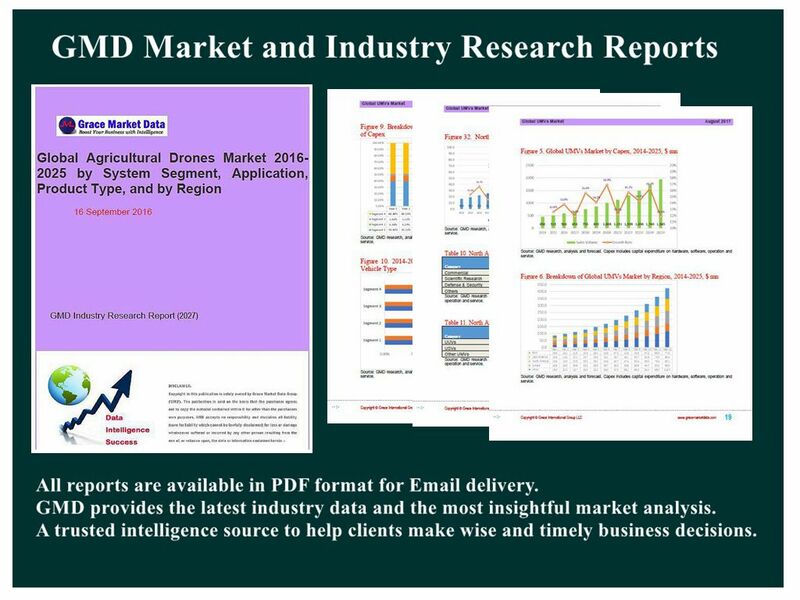 With a review of market environments and automotive industry trend in the world, this report provides an in-depth and detailed analysis of market structure, the major industrial players/vendors, end-users, product types, application fields, geographical landscape, and market forces. In most analysis, historical statistics together with market outlook cover the 2014-2022 period in terms of unit shipment as well as sales revenue. Worldwide industrial robot markets for automotive industry by end-users compose of industrial robotics solutions in Vehicle Manufacturing, Component Manufacturing, and others. Vehicle Manufacturing has been so far attracting the majority of new installations while applications in Component Manufacturing and others are enjoying higher growth rates. By application, the market is segmented into Material Handling, Spot Welding, Arc Welding, Coating & Dispensing, Assembling, and others. Material Handling, Spot Welding, Arc Welding account for the majority of the industrial robots in global automotive industry. By product type, the market is divided into articulated robots, Cartesian robots, SCARA robots, and other robots (cylindrical robots, polar robots, delta robots, parallel robots, etc.). Articulated robotics segment gains most of the shares in automotive manufacturing and are replacing other types of industrial robots. Geographic sub-markets include regions like North America, Europe, Asia-Pacific region, Latin America and the rest of world (RoW). Specific analysis and forecast over 2014-2022 have been covered for industrial robots market for automotive industry in important economics such as U.S., China, Japan, Germany, South Korea, and Mexico. Asia-Pacific region remains the largest regional market in global industrial robots for automotive manufacture in terms of sales volume as well as annual revenue, followed by European market and North America region. APAC also holds the strongest growth potential for the future market with China and Southeast Asian countries expected to be the driving engines for the growth. The market data and forecast trends are highlighted by 4 tables and 73 figures. Current competitive scenario about major vendors are included. The global leading vendors of industrial robots for automotive industry are studied and profiled. This comprehensive report from GMD provides valuable information and the tools needed to successfully derive critical business decisions with a thorough understanding of the market’s emerging trends. The report will save clients a lot of research time on a global market and offer significant assistances in identifying and expanding business opportunities in the global industry.